Samsung Releases Fix on BT Bugs on its Lollipop Updates for Galaxy NotePRO 12.2 | iStoryang HaaayTek! I just downloaded and successfully installed today the fix released by Samsung to rectify the glitch as a result of its Lollipop updates for its big slate, the Galaxy NotePRO 12.2. The glitch put several bluetooth keyboards, mouse and other devices worldwide obsolete for a while since the Lollipop update was rolled out in May starting in Switzerland. 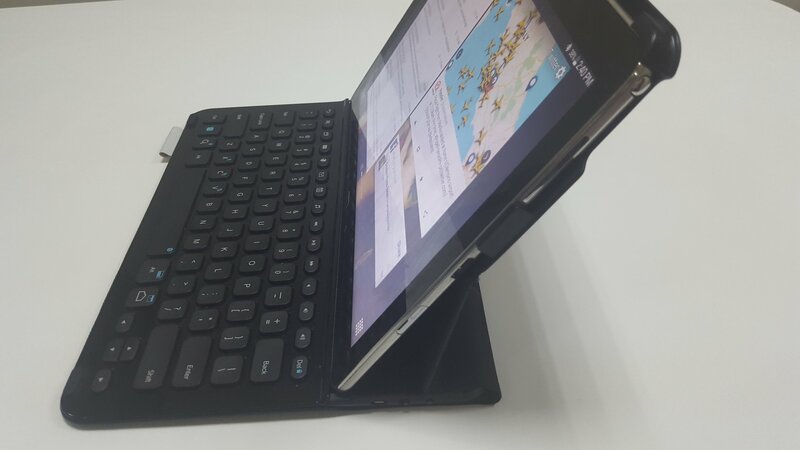 My Logitech NotePRO keyboard was not spared when my tablet received the update on the second week of August. Since Saturday, i took chances connecting to Samsung’s server hoping for an update. Indeed, there was an update but Saturday’s download had errors. Thus, i tried it again this evening and done it successfully. In fact, i’m using my NotePRO with the use of the Logitech NotePRO keyboard for this post.